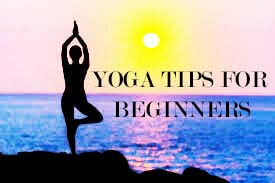 The following are a few tips for beginners practicing Yoga. Yoga is a journey and a practice to bring much joy and relaxation to you. The only one watching you is yourself – so just take a deep breath and relax. Yoga is about unity of breath, mind and body. When you can control your breathing, you can better control your bodily reaction as well as your emotions. Beginners will benefit learning yoga under the guidance of a trained yoga instructor who can lead you through the correct way of practicing. Especially in the beginning, the yoga teacher will help extend your perspective and enrich your yoga experience. It is recommended to wear comfortable clothing while practicing yoga. You don’t want the clothes to get in the way of your yoga exercise. Setting a regular time to practice Yoga, can establish routine and greater commitment for exercising. It is recommended that you practice yoga practice for at least 2-3 hours after your last meal. Drinking water, of at least three to four liters during the day is important and will help you cleans your body. Gentle warm-up exercises help loosen up the body and prepare it for yoga. Don’t compare yourself to other Yoga students and don’t over-exert yourself. Meet yourself where you are and gently and slowly build your Yoga skills. Just like any other practice, it will take some time, patience and commitment to gain the results. Exercise the small step approach. Going slightly beyond your comfort zone will make the yoga practice interesting and challenging. Yoga clears the toxic energy within your body and around you. It expands your aura and heightens the spirit. It brings clarity to the mind and good health to the body. So, by the end of the exercise, relax and let the energy in your body and mind to recharge. With time, you will feel more flexible, calm and healthy.